Ole Miss shortstop Grae Kessinger approaches the plate. Photo by Steven Gagliano. The No. 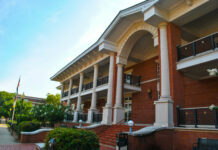 18 Ole Miss Rebels baseball team returns to action this weekend as they play host to the No. 16 Florida Gators at Swayze. First pitch is set for this evening at 6:30 p.m. on the SEC Network +. 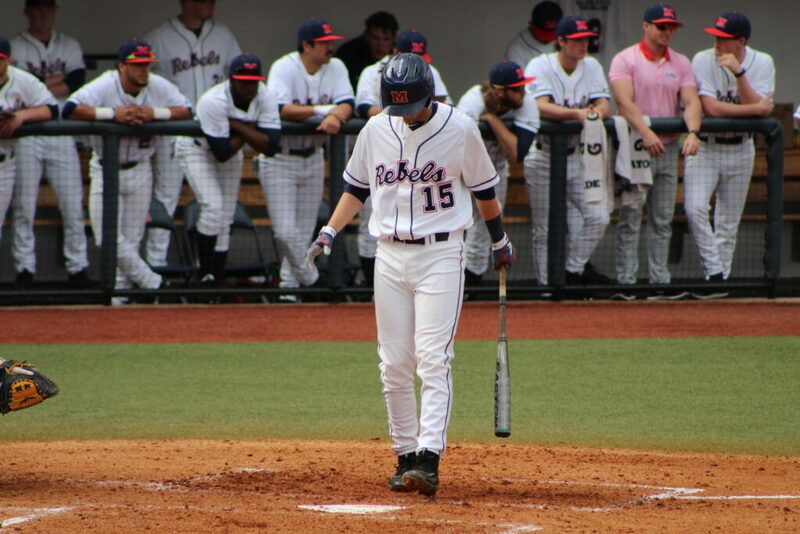 Ole Miss steps back into conference action after losing to the University of North Alabama 10-6 on Tuesday. Last weekend the Rebels took a road series over Arkansas. The team dropped game one in Fayetteville but came back with wins on Saturday and Sunday. The Rebels scored 10 runs on 14 hits, while Tyler Myers threw four scoreless innings to seal the victory. Head Coach Mike Bianco’s club had six players hit over .300 last week, including two over .400—Grae Kessinger (.421) and Cole Zabowski (.412). Florida (21-10, 4-5) rolls into Oxford on a five-game winning streak after sweeping Alabama last weekend and taking care of Florida A&M 12-1 on Tuesday night. The Gators have four sluggers hitting over .300 on the season, including team leader Brady McConnel (.370). Ole Miss and Florida will play for the 100th time on Friday. The Gators currently hold a slight advantage (51-48) in the all-time series. The Rebels and Gators last met in 2017 in Gainesville, where No. 5 ranked Florida swept the series. The two teams last met in Oxford in 2016 where Ole Miss took two of three from the top-ranked Gators. The probable pitching matchup will showcase Florida’s sophomore right-hander Tommy Mace. Mace comes in with a 4-2 record and a 3.99 ERA. Ole Miss will send to the bump tonight right-hander Will Ethridge and southpaw Doug Nikhazy in the first game of the doubleheader Saturday. Due to the rain forecast, the Rebels will play a doubleheader on Saturday. First pitch will be at noon and the second game is scheduled for 4:30 p.m. Fans can listen to all the action on the Ole Miss Radio Network or watch on SEC Network +.